A growing social enterprise movement which is transforming communities across the country is set to be the focus of a conference at Wrexham Glyndŵr University later this week. The free conference will be looking at social enterprises – organisations which are run as commercial enterprises but which focus on trying to bring positive change to the world – by improving social, environmental or financial well-being. 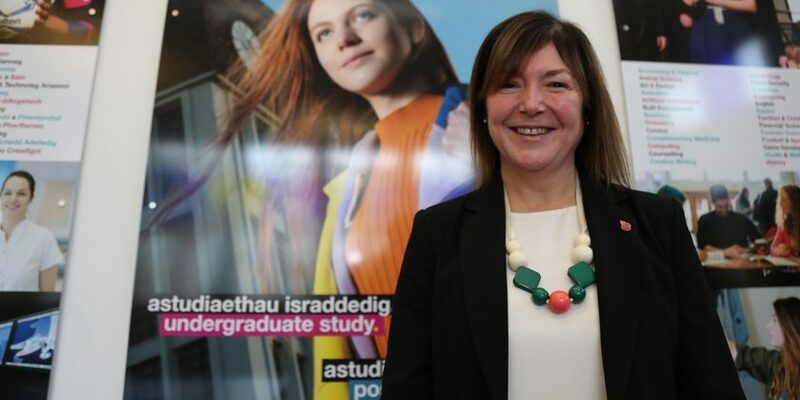 Taking place on Friday 16th November at the university’s Catrin Finch Centre – the conference has been organised by the university’s Enterprise team and Dr Sarah Evans, a lecturer at the University’s North Wales Business School. “There has been a step change in the way social enterprises are perceived in recent years – and a huge diversity in the kinds of projects they cover,” explained Dr Evans. Dr Evans, who is currently working on research about boosting the international reach of social enterprises, added that the conference would give anyone interested in social enterprises helpful advice, case studies and contacts. She said: “Whether your social enterprise is looking to build an international profile or to develop local services, you’ll be more than welcome. “Our conference will hear from people who have used social enterprises to tackle each of these projects about how they did it – and what they plan to do next. “That can be anything from taking on a music studio whose future seemed uncertain and making it a success to developing a village’s industrial heritage, or from providing support and training to help young people gain a foothold in the construction industry to giving a helping hand to sports clubs who need support. The conference runs from 9.30am to 3pm and is free to attend. You can book your tickets for the conference here. More information Find out more about the North Wales Business School can be found on the university’s website.